We’ve had some beautiful morning walks. Marley and I would chase each other. 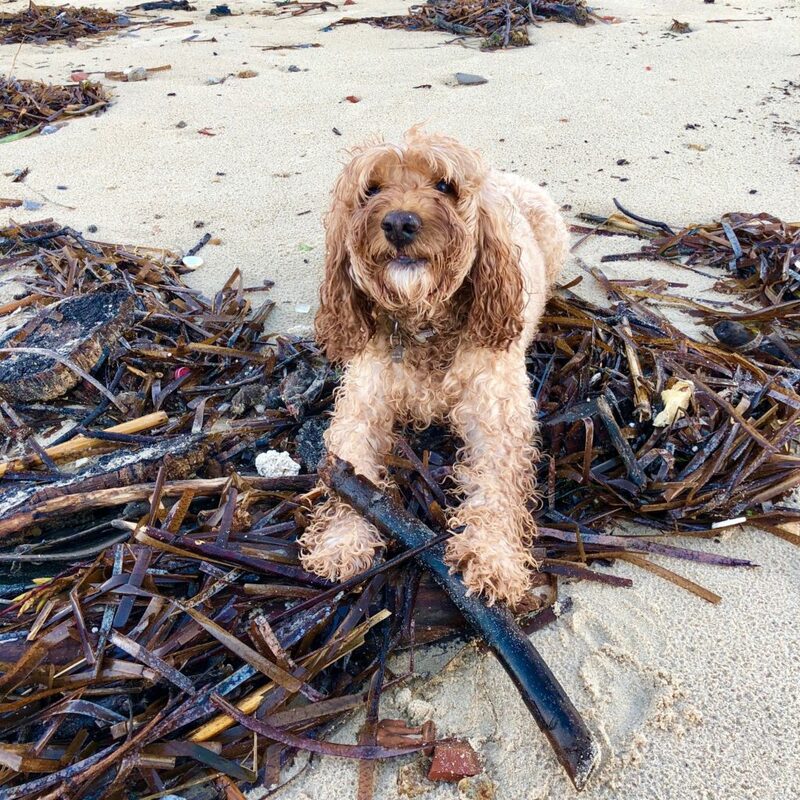 I love rolling in the sand, and of late, I rather like rolling in seaweed, and chewing sticks. In the past few days I’ve been going into the water to retrieve logs of wood!!! But yesterday morning I did something more – I went in deeper and I swam to retrieve what Yaena threw into the water!!!! As if to be sure I REALLY did swim, Yaena threw something else into the water to see if I would do it again. I guess you have to swim to be a real Beach Babe. May’s comment: O-M-G!!!! Yaena, what if she drowned?!?!?! – was my first thought. 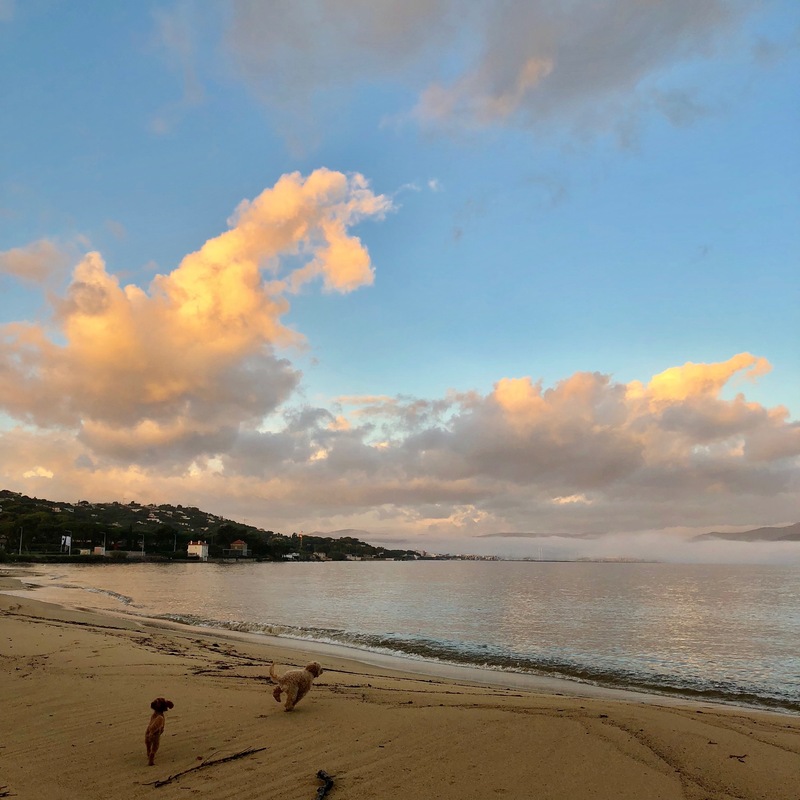 I’ve only seen Darcy swim once – she was fooled into it and when she realised she was in deeper water than usual, I saw the panic in her face as she quickly paddled her way back to the beach. “She kept going in after she went swimming. 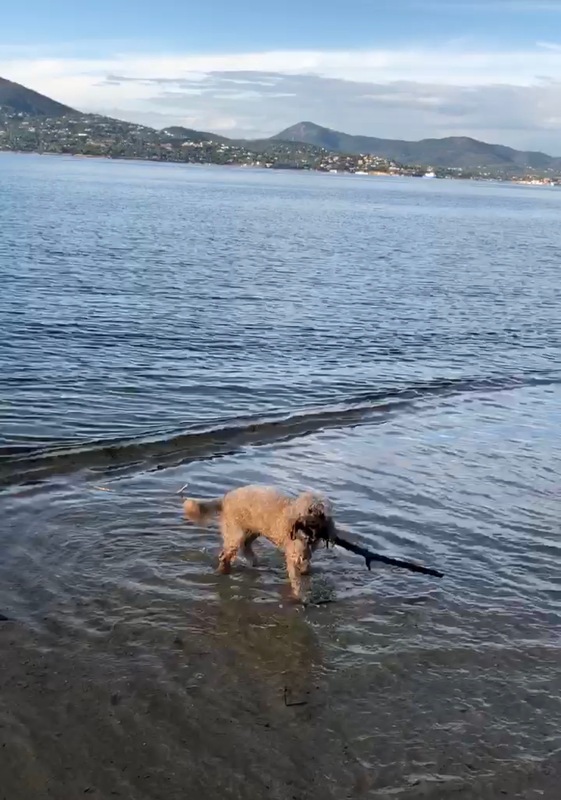 I don’t think she planned to do it but enjoyed getting the sticks I threw at her. ...” reported Yaena. I am glad to know she can swim. 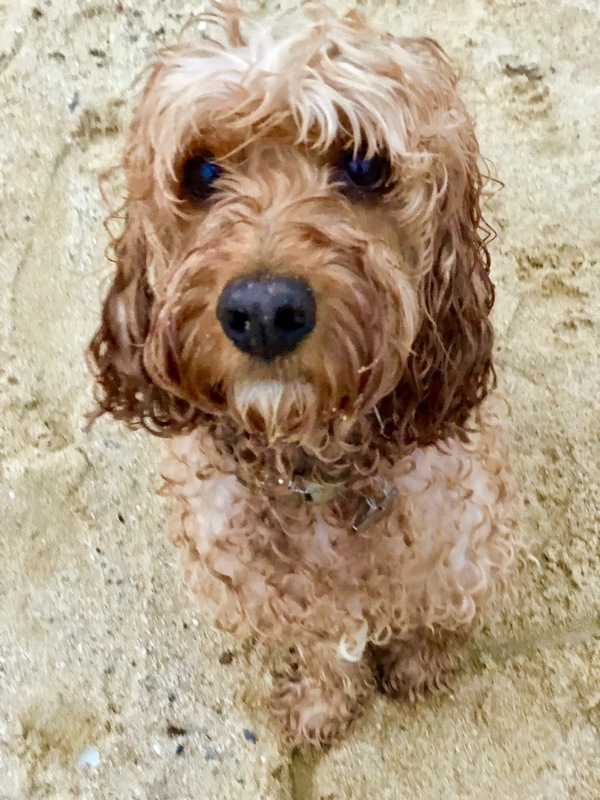 Oh Darcy, You swim well! But I bet your mum has a grooming appointment already scheduled! How are you ever going to go back to being a city girl?! Oh and I forgot to write on your last post that George looks very handsome in that wonderful yellow jumper! I just saw the video of Lucky cleaning Polo’s ear! It was so sweet! A long time ago when I was young, I had German Shepherd Dogs-X and Tessa would clean Terra’s ears. I know you are proud of Darcy learning to swim and retrieve sticks in the water!